February ended up being a really terrible month for actually getting blog posts written. In fact, this might be the first “real” piece of content I’ve done all month. For that, I apologize. Part of that is that real life got a bit in the way, and while it’s still a bit crazy, things will hopefully calm down a bit. Even with that, though, I did manage to make some progress on my actual gaming backlog. 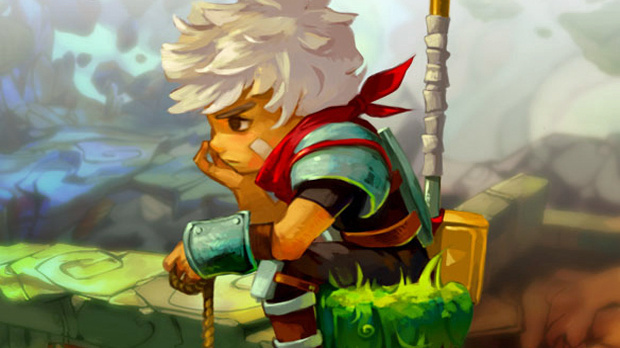 The month started out with me finishing up Bastion. What a great game. I said most of what I needed to last time around – the game is gorgeous, the mechanics are interesting and varied, and the voice-over hook is completely fantastic. I’m not sure why I didn’t get around to this before, and I’m definitely regretting it. Going through on my first playthrough took about 8 hours, and while doing so I tried to pick off as many of the random achievements as I could. The in-game shrine where you get bonuses for doing things like “shoot through three enemies with one bow shot” was a really creative way of bringing those challenges into the game. I often enjoy picking off those kinds of mini-challenges, and having them presented in a way that does not require me to dig through the achievement menus just makes me that much more aware of them. In the end, I did not get all of them, but I can definitely see myself going back and completing that in the future. The game has a New Game+ mode, where you apparently start with all of the weapons and upgrades from your normal game unlocked and everything is just harder. That seems like it would be a good thing to shoot for, eventually, too! Besides that, there is an interesting in-game self-scaling mechanism where you can turn on the idols of various gods, and they all give the monsters some sort of boost, but with a compensatory XP or crystal (currency) drop rate buff. This turns out to be a really nice way to fine-tune the game for your playstyle and difficulty desires. Overall, this was an excellent game, and I highly recommend it! 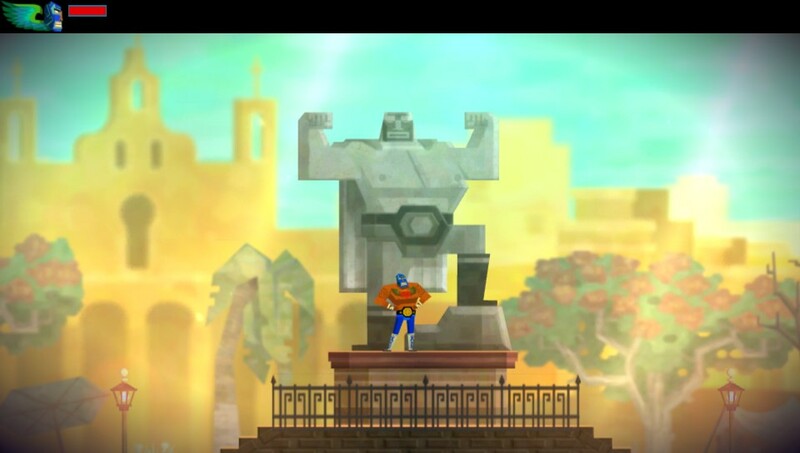 Next up on the list was Guacamelee! This one is part of the current Humble Bundle 11, and is a side-scrolling Metroidvania beatemup game. That’s a lot of big, compound words to say that you go around the Mexico-inspired world smashing baddies with your fists and sweet wrestling moves. There are literal Metroid-style power-ups that you get from a goat-man to help you on your quest to save the captured princess or whatever. From a story perspective, it’s fairly throwaway damsel-in-distress story with a bunch of potentially problematic elements. While I guess you can use costumes to change this, you are the burly, hairy-chested Juan, and set off on an adventure set in a Mexican town with a lot of Dia de los Muertos references and art. The key to your superpowers is a sweet, sweet Luchador mask, and along the way you do a lot of vaguely racist things like help the town grandma make the world’s largest enchilada. With that caveat in mind, the gameplay is really fun. There are plenty of combos and fight chains to put together, and the action is tight. One of the mechanics in the back half of the game is a switch-between-worlds button that has been showing up in platformers recently, and it makes for some really intricate gaming. Sometimes an enemy will only be in one or the other world, so you’ll have to switch in the middle of combat to deal with them. Other times, it just becomes another timing element in some fairly difficult jumping puzzles. While these can obviously get frustrating for some people, I tend to enjoy them as long as the penalty for failure isn’t too large. In most cases, here, you only have to go back to a relatively recent checkpoint (in a few hidden bits this is less true), and practice over and over until you get the execution perfect. It’s super rewarding when you finally triumph over it and/or don’t press the shift button and turn the wall in front of you into spikes, knocking you out the air and falling ages to have to start the whole stupid thing over! The few boss fights weren’t overly challenging, but they all had pretty unique flavor, and learning the patterns is something that makes sense. Overall, I enjoyed myself! There is a lot of referential humor and I found myself wanting to listen to the in-game music more than something outside it. As long as you can get behind the caveats above, I’d recommend it to fans of the fighting platformer/Metroidvania genre. Took me about 8 hours, and I again did a lot of the side quests and challenges, although there are a lot to go back to. And gold medals to get! This probably deserves its own entire post, but it’s essentially a multiplayer stealth murder-on-a-cruise simulator. If that sound really strange, well that’s because it totally is. One of the oddest games I’ve played in a long time, but also a ton of fun to play with our co-op group. It’s $20 on Steam, which seems pretty high, but copies of the game end up coming with pay-it-forward friend invites. I think, for our group of ~8 people, we ended up only having to buy two copies. Everyone else got a gift copy that came from a gift copy, etc. The general idea is that you drop into the body of a classy person on a 1920’s-esque cruise ship. Each person gets a randomly-assigned name as a target, and you have to go around identifying which person is which, looking for your quarry. Meanwhile, other people are doing the same, and someone is trying to kill you with any number of random weapons found around the boat. There are, of course, police officers and a number of NPCs wandering around that will point you out if you just wander around with a frying pan or whatever. In which case, you’ll go to cruise-jail for some amount of time. If you get killed, you have to start over with the identification process. Oh, and also there are food meters and toilet meters and shower meters and boredom meters that you have to stave off over time. Like I said, very odd.